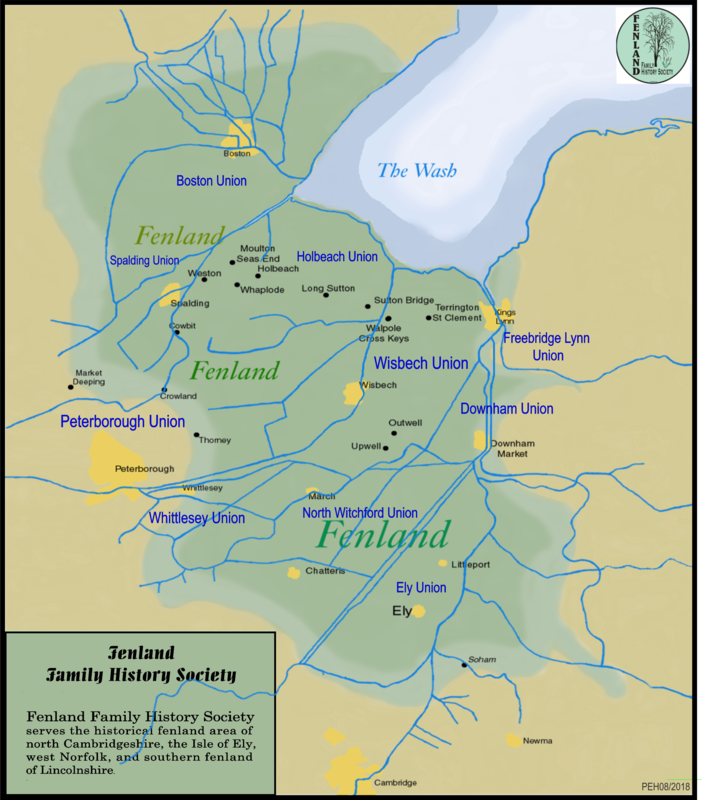 The Fenland Family History Society was founded in 2001 to promote and encourage the study of family, local and social history with particular reference to persons having lived in, or having been associated with, the historical area now known as Fenland. Fenland comprises the former Isle of Ely, parts of South Lincolnshire and West Norfolk. The Society also aims to promote and encourage the preservation, security and accessibility of archival material. We have a strong working relationship with the Wisbech and Fenland Museum. We are a young society but already have over 150 members from all parts of the UK as well as Canada, USA and Australia. We have a full programme, including speakers, members’ evenings and outings. An archive of reports of previous years meetings is available. We can be found at promotional events throughout the year.